Gutters are exposed to all kinds of elements. Aside from its primary purpose of diverting running rainwater, it is also subjected to harsh sunlight, strong wind, and debris that gets lodged inside its pipes. Your gutter will be damaged eventually. While not everyone likes replacing parts of the home and the expenses that come with it, all homeowners should not delay gutter repair as it plays an important role in protecting your home. If you need to replace your gutters, choose the better gutter system. The Easy Fall Guttering comes with a 25-year rust-free warranty and 7-year workmanship warranty. Our gutters have been developed to be low maintenance and also suit various roof types. For the #1 trusted guttering Sydney product, call our experts on 1800 897 444 and request a an obligation-free quote! What are the signs that you need gutter replacement? Is it time for a gutter replacement? Here are some of the signs to watch out for that point out your need for gutter replacement. During your routine gutter maintenance, inspect your gutter for some cracks or splits. Small cracks or splits in your gutter can easily be fixed with some sealant. However, this type of damage to your gutter can eventually grow bigger, especially with heavy rain. If several sections of your gutter are damaged, it is time for a gutter replacement. If your gutter is made with galvanized steel, orange areas filled with rust means that its protective coating has gone off. This coating is supposed to protect the gutter from water and moisture, which reacts with the iron content of the gutter to produce rust. If you see rust, try to remove it by scraping it off. But since it doesn’t have a protective coating anymore, it is only a matter of time before it rusts again. Gutter brackets or fasteners are the pieces of metal that some types of gutters to your roof. They also function as a way to keep your gutters level. If some of these fasteners are broken, they can cause several problems to your gutter, including gutter flooding, overflowing, and accumulation of debris. You can usually repair these fasteners. However, if the problem persists, it may be pointing to a problem to the gutter itself. While peeling paint is unsightly to see in an otherwise beautiful home, it can actually point out a problem on your gutters. Check the exterior paint of your home for any paint that bubbled up or peeled away. Then, check the gutter section that is nearest. The peeling is usually caused by moisture coming from leaking gutters. If there is peeling paint in several areas of your home, consider replacing your gutters. Gutters are not supposed to sag. If they do, that means they become too heavy or too full of water. Incorrect fall and accumulation of leaves, dirt and debris can cause sagging gutters. If your gutters are not functioning properly, it is time to replace them. Functioning gutters are crucial in protecting your home from damage. If your gutters are not working properly, replace them with a guttering system that works. Easy Fall Guttering provides a unique guttering system that prevents multiple problems common with regular gutters. 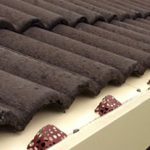 We provide innovative gutter supplies for homeowners around the Sydney, Wollongong and Central Coast areas. If you are looking for the best guttering Sydney products, consult our gutter experts who can advise you on what gutter type suits your home. Call 1800 897 400 for guttering supplies and services.